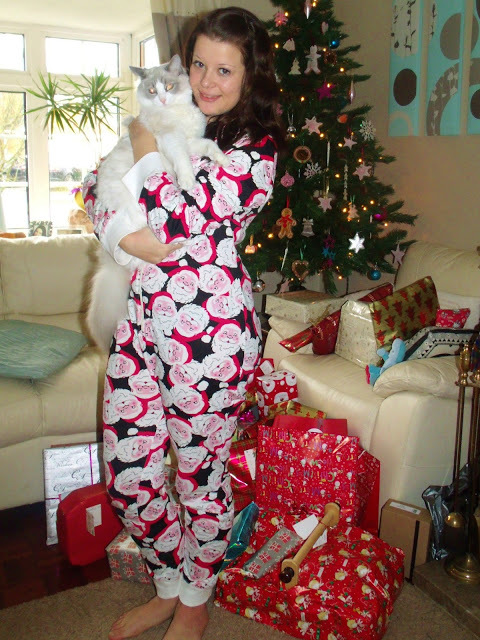 Merry Christmas from me & Merl in my Santa onesie!! I hope you all had a wonderful day and are full of food 🙂 Here’s a photo of my morning face and Merl earlier today for his first Christmas! Also.. check out my new onesie hahaha!